I found this shapely, vintage mirror at my local thrift shop and I knew it would be beautiful once it was painted. I love the shape of this mirror and I especially love the metal applique attached at the top. The speckled, dated finish was the only thing I did not like about this mirror. I painted the mirror with Louis Blue Chalk paint first. Then, I painted some of the trim and the metal applique with Old White. I wanted the finish to look old and I also wanted to tone down the Louis Blue a bit, so I used Coco as a wash over the entire frame. To make the wash, I mixed the Coco paint 50/50 with water, brushed it on with a paint brush and wiped it back with a clean rag. I like the way the Coco wash muted and subtly aged the Louis Blue paint, while being less obvious than the dark wax would have been. After the mirror dried I applied a thin layer of Annie Sloan clear wax. Now the mirror looks perfectly aged with its new finish. This post is linked to the parties on my sidebar. that is beautiful! the finish and colors are perfect on that mirror! Love the colors and using the Coco as a wash is a great idea! Love it, as per usual! I just love your mirror redo! The shape is so pretty and I really, really like the paint color and treatment. Love the mirror...and the chandi! $15...major steal! Way better in blue. Love the detail. Your mirror is gorgeous. I love the colors you choose. You turned a walk on by . . . in to a stop and take notice. I'm your newest fan and follower, Connie :) If you have the time I would love to invite you over for a visit, and hopefully you will decide to follow me, too. I'm just a retired grandma, that wears a lot of hats: artist, re-purposer, paper crafter, musician and singer, gardener . . . just loving very day the good Lord give me. I love the Coco finish, as opposed to the Dark Wax! beautiful! What a beautiful mirror!! I've been collecting them recently and would love to add this one to my collection. I love the Coco wash over the Louis Blue. Just beautiful! Beautiful! Love the paint color. Oh my goodness--I can hardly believe that is the same mirror..I love it! The colors are perfect. That looks wonderful, a perfect choice of colors. Great find! Wow wow wow! SOO chic! It looks like the real deal, love the color and distressing. Beautiful!! I did a piece awhile back with that speckled finish.. yuck! Are you selling this little pretty? Would LOVE to purchase! And I just love your blog BTW...been a follower for a while but it's always nice to see what you're up to! Hope you have an awesome Friday and I am SO SERIOUS about buying...thanks! Amazing transformation Amanda. I love the colours you have used. What a great find and the colors are perfect! That looks fantastic, Amanda! It looks like a totally different mirror. Love the blue and white combo. You are so right. This mirror, though not old or antique, when painted looks to be just that. It's beautiful and at $15 plus your work, you should get a good return on your money! ohmygoodnessilovethis!!! SO pretty!! SO SO pretty!! Love the colors, love the wash...love everything about it! I am not really a blue person, but wow this does look great. So french vintage. Love this! You inspired me to try the coco/water mix too! I love your projects and your work. What a find and what a transformation! I really like the Coco wash. It really muted some of the brightness in the Louis Blue. ohmygosh, what a fabulous mirror. just perfect in these colors!! thanks so much for linking up to Vintage Inspiration! Absolutely charming!! It turned out perfect! Thanks for linking up at Feathered Nest Friday! Just beautiful and a steal for $15! Great makeover! I am not a big blue fan but that is beautiful. I just may change my mind about blue after seeing that. Good job! 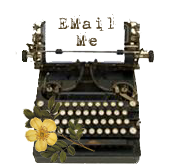 Please come check out my blog!! Beautiful!! 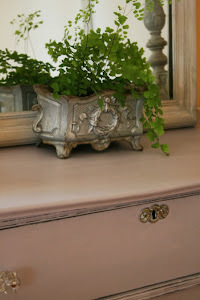 After see this blog I decided to make over a little mirror that I had for my very first Annie Sloan painting venture. It turn out so Pretty thanks to the details in your blog. Thanks for the inspiration!! Welcome to Reloved Rubbish! 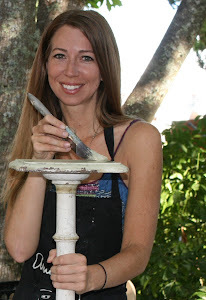 I created this blog to share my decorating ideas and furniture transformations. I love finding the potential in furniture and decor items that appear to have no value and transforming them into pieces that will be loved again. You do not always have to spend a lot of money to get something beautiful and artful for your home. 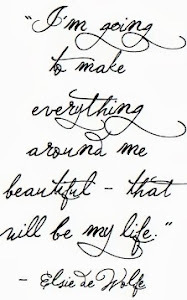 I hope I will inspire you to go out and do some creative salvaging of your own. Thank you for stopping by!